Currently viewing the category: "Cutting/Snips"
Milwaukee has long targeted many of their specialty tools at electrical trade professionals, even to the point that they work closely with some of the electrical trade unions’ training programs in order to learn more about what electrical pros need, and of course to get additional exposure to future customers. So it’s not a big surprise that one of their newest M12 tools is a cable cutter, designed to replace ratcheting-style hand tools electricians use to cut big cable. 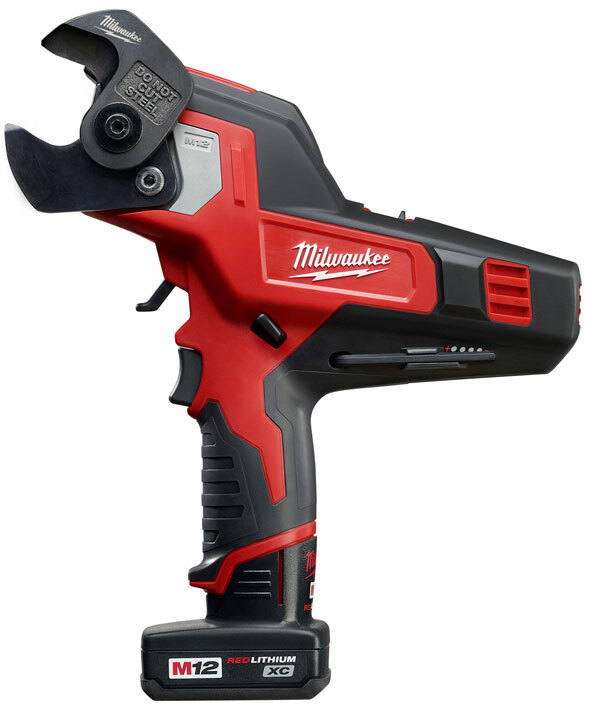 Milwaukee claims that the two biggest problems they saw with existing cordless cutters were cost and size; they don’t fit well into crowded electrical panels, and they’re so freakin’ expensive that most folks just go with the cheaper manual option. So they figured a reasonably-priced M12 addition might do the trick. Imagine yourself as a marketing pro confronted with selling a new hand tool — like the aviation snips pictured above. You have to convey to people walking by in the big box aisle what makes your snips different from everyone else’s. 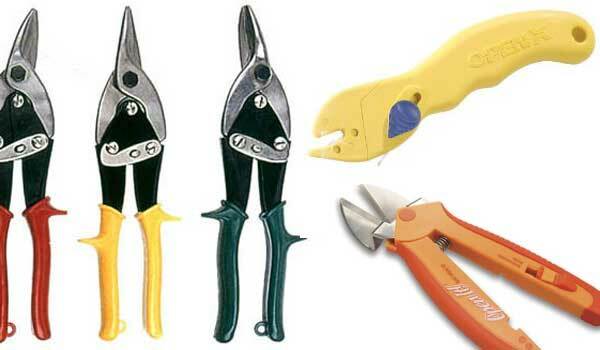 But here’s the problem: snips look like, well, snips. Look at the picture above! They’re snips. Of course, the designers would disagree. Whether you agree or disagree with their decisions, it’s clear from the press release that Wiss’ engineers put some thought into them. For example, let’s start with the cutter blades. Wiss added CNC-machined wave-pattern serrations on both blades to “provide more aggressive shearing action, higher resistance to tooth breakage, and longer blade life.” They also use an investment casting process — a relatively old process known for its increased accuracy over sand casting. The feature list continues: a “free-floating pivot bolt design” reportedly spreads side loads more evenly across the bolt, increasing life over threaded-bolt designs. 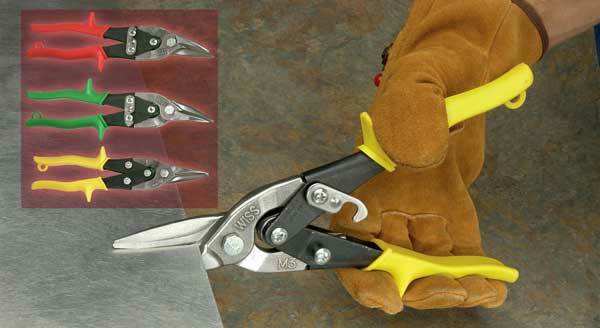 Wiss also makes the snips out of valve-grade steel. 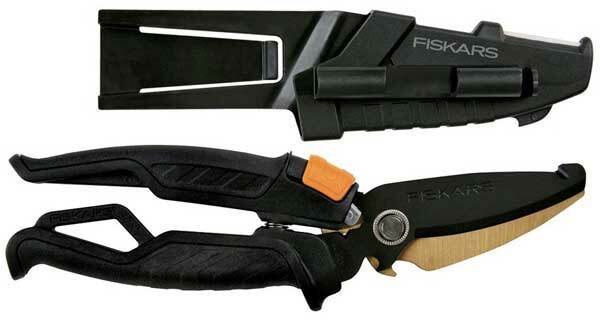 At first these snips from Fiskars smacked of gimmick. But the more I look, the more I think I might just want a set. The idea is simple: Fiskars claims they’ll cut just about anything you might find lying around the house, from paper to carpet to “light sheet metal.” It’s what a Swiss Army knife would look like if you started with a pair of scissors instead of a pocket knife. The Stubby of Ute Knives? 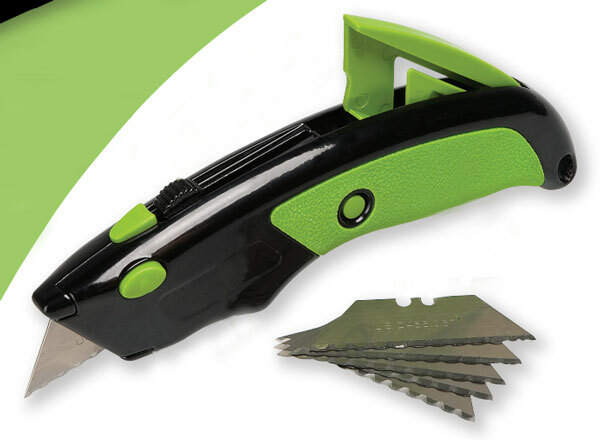 Greenlee, it seems, now makes a utility knife. If you’re not a professional electrician, you’ll probably never see one, because I’m betting this is the sort of thing that’ll never, ever appear at the local big box. Still, it’s interesting to see their take on a tool that pretty much everyone else makes — and sells by the truckload. My first thought: It’s a lot shorter than most utility knives I’ve seen, which might not be a good thing. Over the years we’ve written about a number of different devices designed to crack the combination on clamshell packaging, but every year about this time we like to round up the best of the articles and comments on the subject to give you a better alternative to destroying your good scissors or stabbing yourself in the leg.